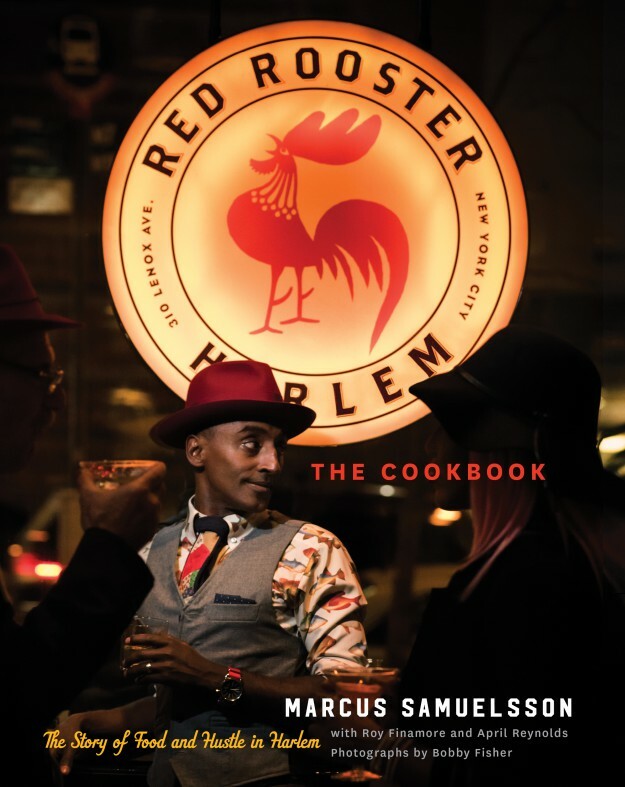 The Red Rooster Cookbook is available online at Amazon, Barnes & Noble and IndieBound. 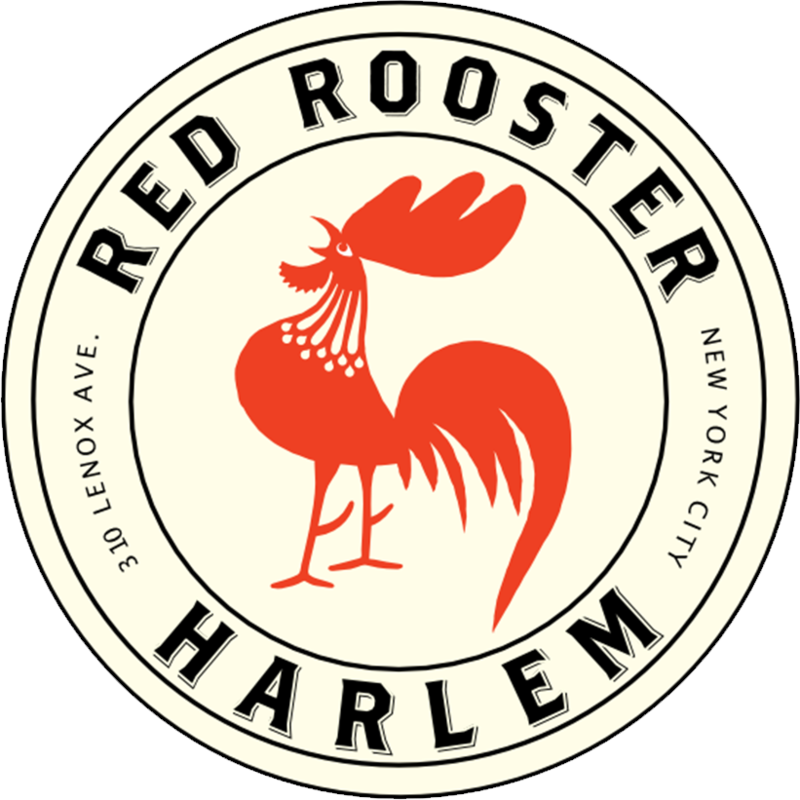 I’m excited to announce that my upcoming Red Rooster Cookbook: The Story of Food and Hustle in Harlem will be released October 18th. I had such an incredible time compiling these dishes, and now I’m ready to share them with you. Inside you’ll find deeply personal dishes, woven into the story of our neighborhood and our restaurant. 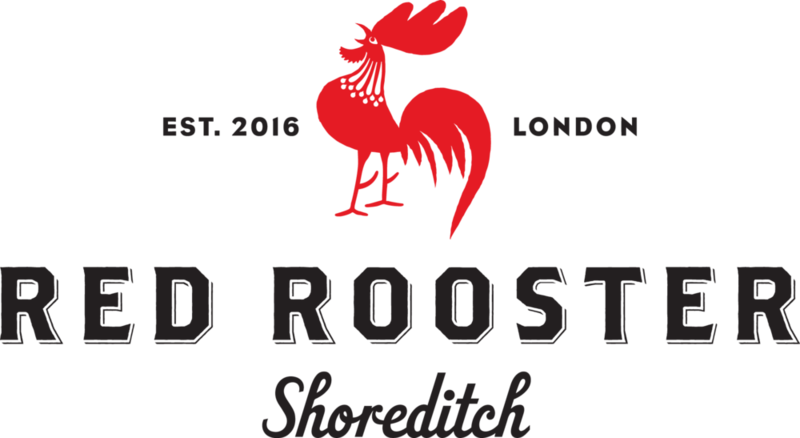 Though food is at the center of Red Rooster, it’s about so much more than that to me. 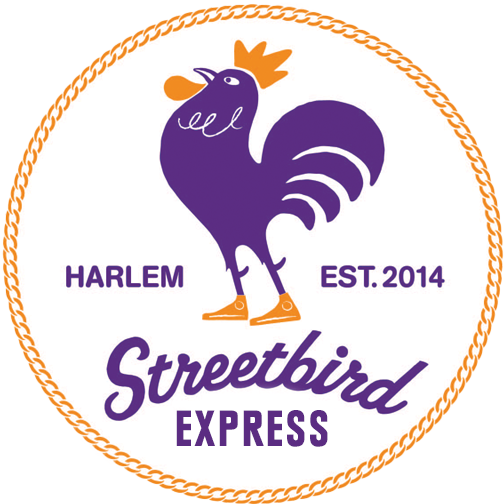 It’s become a key part of our vibrant Harlem community, encouraging new friendships and conversations over thoughtfully prepared food. This book reflects my journey from Ethiopia to Harlem, influenced by flavors I discovered along the way. From Pork and Plantains to Chinese Steamed Bass and Fiery Noodles to Chicken and Waffles, each recipe is rooted in centuries of traditions and cultures that represent the sticky, sweet, specialness that is the reason I opened my restaurant uptown. These dishes will bring exciting global flavors into your home, and I hope they’ll expand your sense of adventure in the kitchen. Thank you to CNN, Food Republic, and Tadias Magazine for giving me the opportunity to highlight the behind the scenes moments of Anthony Bourdain’s episode of “Parts Unknown” featuring Ethiopia at Ginny's Supper Club a few weeks ago. When the episode went live, Maya and I were thrilled at the response from viewers all over the world. Thank you for your outpour of support and we hope that you enjoyed watching as we traveled throughout Ethiopia from Addis Adaba to Maya's family's village. Here are a few behind-the-scenes pictures from the filming of the episode. Can You Spend Less Money on Food and Improve Global Poverty? I Think So. And Here’s How to Do It. Poverty in America looks very different from poverty in other parts of the world. While being poor in my home nation of Ethiopia means not having access to water but eating incredibly delicious and healthy foods everyday, being poor in the United States can mean clean water but not necessarily nutritious things to eat. Poverty is a problem that affects all parts of the globe, so it can be hard to visualize what you can do here at home to. You’ll be saving money, but how does this affect the global idea of poverty? Simple economics tells us that demand is directly related to price. When demand drops because more people are buying only what they need, the price drops making commodities more affordable for everyone, especially those who have smaller budgets and income. While it may seem like a far-fetched solution, a more global consciousness of need versus want could have big implications. Another way that I, as a chef, have thought about this issue in regard to food has been through education. After the financial crisis of 2008, many Americans were facing financial insecurity, especially in neighborhoods like mine. Unemployment in Harlem was more than twice the national average and in a neighborhood where amenities are already scarce this meant different kinds of sacrifices were made, especially when it came to nutrition. American families in general began spending less of their incomes on food and the category that took the biggest hit: fresh produce. People instead began turning more and more to quick and cheap calories at fast food places, where a few dollars can buy you fries, a burger and a soda. While shopping and cooking does take more time than drive-thru, a commitment to healthy eating can be delicious and cost-effective. I’ve been doing cooking classes in Harlem since Red Rooster opened in 2010 and it has been an indescribable experience showing kids from the YMCA or a local charter school that vegetables don’t have to be soggy and over-steamed but delicious! They’ve learned about food they’ve never had before that can pack in protein and nutrients and still taste good, including alternative grains like teff, quinoa and couscous. I believe you can eat wonderful meals and feel satisfied after eating less when you infuse rich flavors into your cooking. Simply put, nourishing foods can be budget friendly – and chefs share the responsibility of broadcasting that message! Let’s not forget that healthy eating leads to a healthier society overall, which means a cheaper cost of living for everyone! Our country is in the midst of a cataclysmic health crisis, much of it caused by how we eat. More than one-third of American adults are currently obese (another one-third are overweight), and according to the CDC, the prevalence of obesity among children and adolescents has almost tripled since 1980. It becomes an even more alarming number when you read that obesity is already causing $150 billion annually in medical costs. Imagine where that money could be spent if we reduced American obesity rates by even half! There would be more funding for programs that helped feed the homeless, educate the underserved and increase the employability of those in poverty through job training. This article was originally posted as part of LinkedIN's Take Action series in which Influencers and members discuss how to drive change that matters. Read the original post here. It's unfathomable to most, coveted by some. Enthusiasts keep an emergency stash of the stuff in their purse; others take a nibble and promptly spit it out. It elicits passion, nostalgia, pain, discomfort, and satisfaction. Ah, yes, Swedish salty licorice. Swedish candy is notoriously fantastic, but salted licorice is the black sheep of the otherwise delectable family of gummy sweets. The stuff is potent and undoubtedly polarizing. Licorice itself is the root of a plant called Glycyrrhiza glabra that is native to Spain, Italy, and Asia. The plant contains a component that is 20-40 times sweeter than sugar, so it is logical flavoring option for candy. No one quite knows how or why licorice candy was first combined with a salty flavor, but its history as a confectionary began in Scandinavia in the 1930s. Salted licorice, however, doesn’t actually contain any salt. The brininess comes from the chemical ammonium chloride, so salted licorice is often called salmiakki, the Finish word for ammonium chloride. Modern salty licorice ranges in color from light brown to deep black, and it may be chewy or hard. Salted licorice is popular in Sweden, of course, as well as The Netherlands, Finland, Denmark, and Germany. What is so enticing about salted licorice for Scandinavians? Consider the classic dishes gravlax or pickled herring. Bitter saltiness is deeply embedded in Scandinavian cuisine and home cooking, so a salty flavor is intertwined with notions of comfort and home. Curing meat and fish with salt during the long winter months is standard practice for many Scandinavians in past and present time, so an affinity for salt is deeply rooted in the Scandinavian palette. On the other hand, salty licorice could merely exist as national entertainment. Many Scandinavians admit to enjoy feeding salty licorice to tourists just to watch them squirm. Some say it’s almost a national sport! Most Swedes consume salted licorice as typical candy, but many also enjoy Turkish Pepper Shots, which are hard salted licorice popped into a shot of vodka. If you’re hooked to the flavor, it’s easy to want to infuse everything with salmiakki. However, too much licorice can cause a spike in blood pressure, so be careful not to overdo it. Salty licorice is a unique treat for a large part of the world. 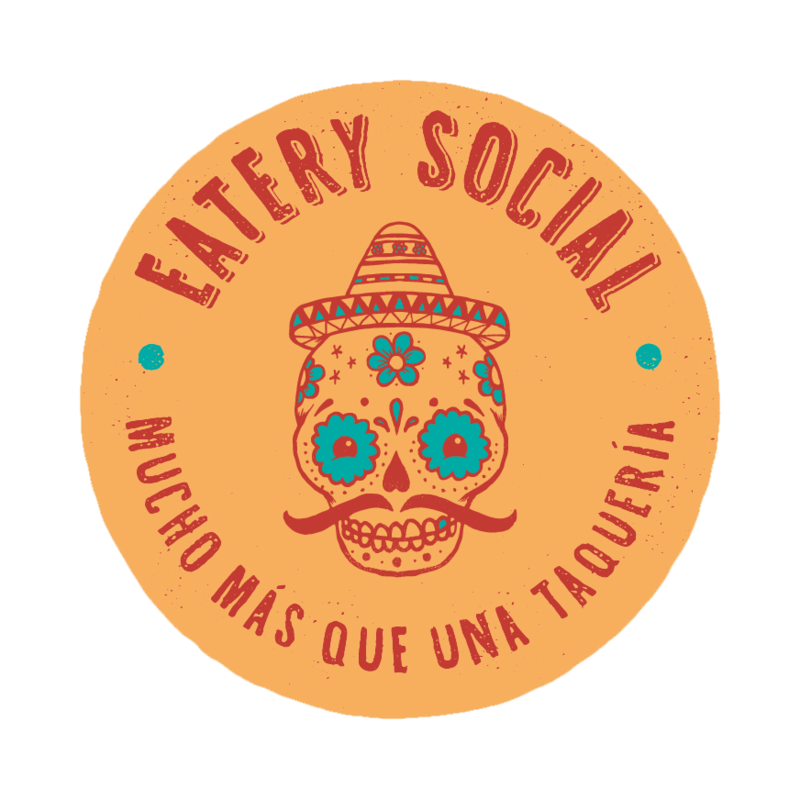 It acts to demonstrate the diversity of global food preferences and the fascinating ways in which tastes are formed through the forces of climate, culture, and ecology. Have you ever tried salty licorice? What was your experience like? In May, Marcus met an impressive young man named Jacob at Celebrate Northside! The Northside Center for Child Development 68th Anniversary Gala. 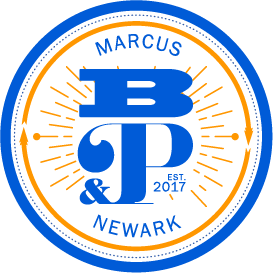 Marcus was so moved by Jacob’s interest in cooking that he extended an internship to the 15 year-old aspiring chef. From Tuesday, July 15 through Wednesday, July 16 Jacob enjoyed a hands-on culinary experience within the pastry department at Red Rooster Harlem. Jacob is a student at a rigorous college preparatory school in The Bronx. He loves science, especially chemistry and forensic sciences. His family is from the Dominican Republic, and he grew up learning how to cook dishes like fried sweet plantains and sorbets from his grandma and uncle. He’ll often make himself Dominican breakfast for dinner, which is a traditional dish of fried eggs, mashed plantains, fried salami, fried cheese, and fried sausage. Jacob’s time with Red Rooster began early on Tuesday at 8:15 in the morning. He worked with our Pastry Chef Melissa Camacho making strawberry jam, cookies, cornbread, and peanut butter pie. He was appreciative of their patience, and really enjoyed working with the kind chefs. Jacob liked making cornbread because he makes a similar recipe at home with his uncle. For lunch, Jacob enjoyed Red Rooster’s famous Triple-Double Burger infused with bacon, Jarlsberg, and rooster sauce, with, of course, a side of French fries. He was surprised he was able to finish the gigantic sandwich, but loved every bite of it. Jacob wrapped up his first day on the job with a chat with Chef Mark Gandara, mapping out his dreams for the future. He spent his second day of the internship preparing peaches to practice his knife skills. A four-day sleep-away basketball camp is coming up for Jacob at the end of this summer. Although he’s eager to learn more about pastry and cooking, Jacob’s looking forward to some rest and relaxation after two long days on his feet.